Hotel Coolgardie which is directed, shot and edited by Pete Gleeson is a fish out of water tale which shines a light on misogynistic attitudes of Australian men albeit in the Australian outback. Two young Finnish girls try their luck when they take a job working as barmaids at a pub, Hotel Denver City, in a remote mining town, Coolgardie, in the Australian outback. Although they are forewarned by the female recruiting agent in Perth that they are going to a mining town and will be dealing with a lot of male attention from gentlemen, Lina and Stephanie take the job regardless, out of economic necessity. Every quarter new batches of girls arrive to work the bar at Hotel Denver City. Lina and Stephanie are replacing Becky and Clio who are wrapping up their three month contract. Interviews with the male regulars of Hotel Denver City reveal that they view the girls as the only game in town, and the race is on to see who beds them first. 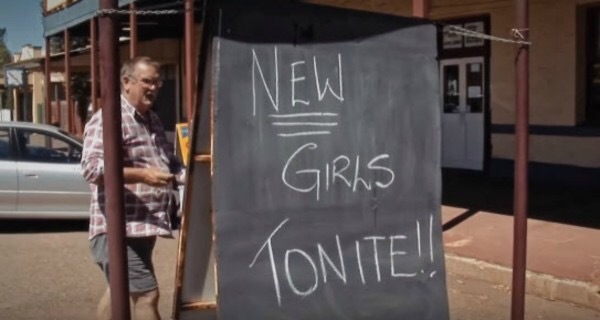 Their employer, Pete, announces their pending arrival, on the sandwich board outside the bar, with the words, “New Girls Tonite”. The film documents Lina and Stephanie’s attempts to see through their contract and hold it together while they fend off the unrelenting male attention. Gleeson creates intimate portraits of these two young women struggling to maintain their dignity in a sexually charged atmosphere. You not only feel their discomfort and alienation but are worried about their mental health. They are subjected to rude and insulting language and behaviour not just from the blokes from the bar but from their boss, Pete, who does nothing to stop it but adds insult to injury by belittling them in public. I was thankful for the presence of John, aka “The Canman”, one of the male characters in the film, who presents a different male perspective. I was touched by John’s story and his friendship with Lina and Stephanie. The dramatic tension in the film doesn’t let up and if you want to find out what happens to Lina and Stephanie, well, you’ve got to see the documentary. 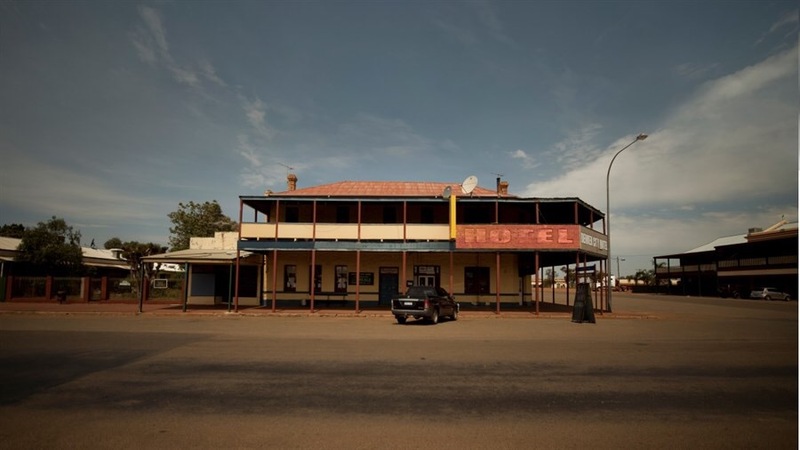 I found Hotel Coolgardie a fascinating documentary. Gleeson has done an excellent job editing his film as it moves fluidly between Lina and Stephanie allowing for two different perspectives, and by interspersing the entire film with day and night shots of Coolgardie and the Australian outback which situates their story in a cultural context. The film not only shines a light on misogynistic attitudes prevalent among Australian men albeit in the Australian outback, but, is a metaphor for the outsider, the migrant, who far away from home, most often alone, must learn an unfamiliar language and navigate and adapt to new cultural contexts and norms to eke out a precarious economic living. The documentary has tremendous educational appeal and can serve as a vehicle to promote human rights and social change. I highly recommend it for you won’t be disappointed.